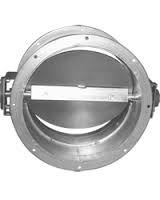 Pioneers in the industry, we offer dampers from India. We are offering best quality of Dampers. These Dampers enhances the looks of the individual thereby highly demanded in the market. We provide these Dampers in several sizes and color combinations according to client's choice. These Dampers are offered at a very affordable price range. 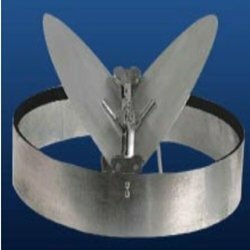 These products are provided with a drive to move the blade steadily and continuously from open to closed and back again. Compact design of these dampers demands less space and less maintenance. We also make them resistant to various damages that can occur from furnace puffs and mild over pressure incidents.These dampers are featured with peripheral-seal system for stopping gas leakage at all stages of blade movement and to give support to the members for the blade.